There is plenty to do on the farm for farmers Johanna and Franz. There are stalls for the cow and her calf in the barn, for a horse or donkey, a pig and other animals. 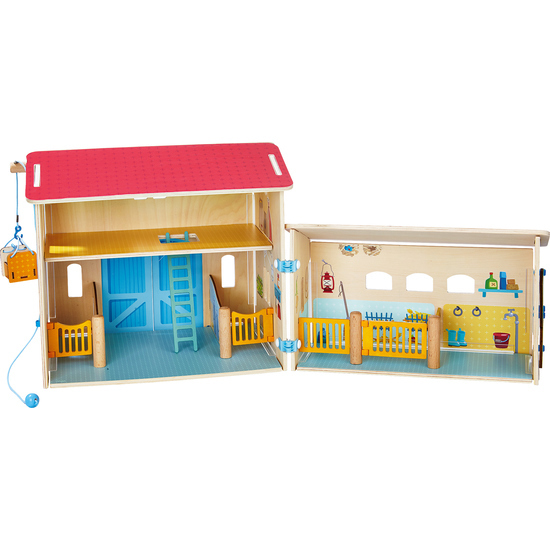 The ladder leads to the hay loft and the cable winch lets you transport loads from the ground to the loft.